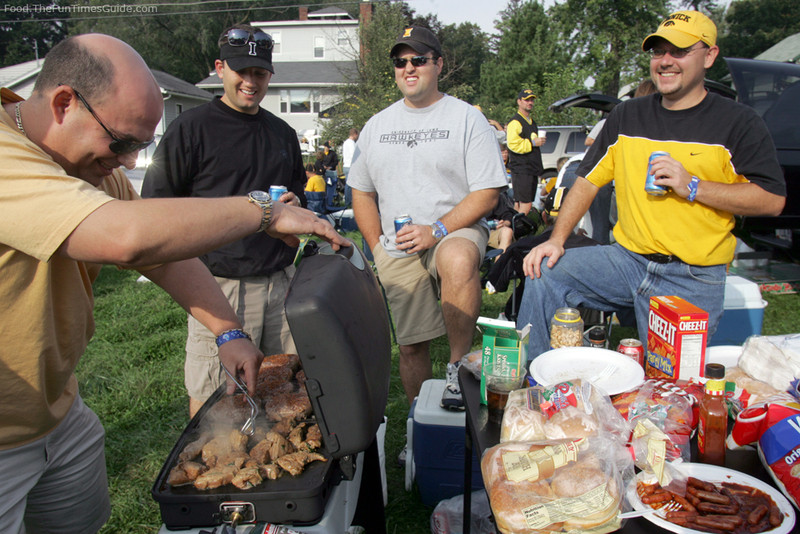 It’s Football Season – Time To Get A Tailgating Grill! 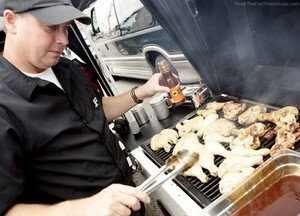 Now is the time of year when backyard grillers become parking lot chefs at tailgate parties coast to coast. About 50 million people tailgate each year, and the centerpiece of the party is the grill. Since tailgating is now a billion dollar industry, you have scores of good grill choices. You have the big boys like Weber (whose Weber Q line is a parking lot favorite) and Char-Broil (the Grill2Go is their tailgate grill) to smaller companies targeting the market like Freedom Grill (whose grills attach to the hitch of your vehicle, so they ride outside when you’re on the road and are ready to cook on as soon as you park). But, perhaps, the biggest decision you have to make comes before any of that. And it’s a tough one. Charcoal or gas? Or, put another way… flavor or convenience? You don’t have to look far to find chefs and home cooks who tell you food from a charcoal grill has more flavor and just tastes better. Charcoal can cook hotter, and it’s easier to smoke foods with better results. Plus, you don’t have any taste of natural gas that sometimes lingers on foods cooked on a gas grill. Gas grills, on the other hand, take next to no set-up and are at cooking temperature just minutes after you push that igniter button. Plus, with a standard propane tank you’re cooking for 20 hours without worrying about fuel. When you’re done, just turn it off. #1 How important is the hassle factor? If you don’t mind spending time setting up, cooking and cleaning up (including the ashes), then charcoal is probably a good choice. If you do mind, go with gas. If you want in for little cash, then charcoal is your best bet. You can get a good, standard charcoal grill for around $50. A comparable gas grill will cost about 3 times that. Of course, you can spend hundreds and thousands of dollars on either type grill if you want to add on cooking space and bells and whistles. #3 Will you be cooking with indirect heat? If the answer is "yes," and you’re on a budget, then you’ll want to go with a charcoal grill since you can slide the coals over to one side. The cheaper gas units have just one heating element; you’ll have to buy a nicer gas grill to get 2 heating elements for 2 cooking zones. Whichever way you go, make sure the grill you buy has sturdy construction and a good warranty. And lift it before you buy it, too, so you know how much it weighs or how easy it rolls. You don’t want any surprises when you get to the parking lot and a dozen friends in face paint want their pre-game meal!